What Should You Look for in Disaster Recovery Services? 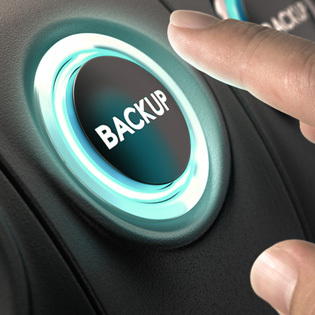 Disaster recovery is more than just a backup of all your data. It is a full backup of all essential files, documents, and applications to keep your CPA firm up and running. We hear more and more about natural disasters occurring all over the globe, and with these disasters come data loss. What files are crucial to keep your business running after the disaster? Regular data files should already be safe and backed up on multiple servers so that data is of no real concern right? What really constitutes a disaster? Do you need multiple recovery plans, or is one good enough? These are some of the basic questions you need to know before the disaster strikes, not after. A disaster recovery plan is a set of protocols to execute in the case of a disaster. The plan itself can be handled in-house, but some providers may have disaster recovery services available. First, you need to understand the standard workflows of your CPA firm. Know what processes and data are required to keep the business running. Archived files are not an immediate issue. Most likely many of the files and applications held in HR are not first priority. The idea is to know what you need to get your business back in motion NOW. Some offices can get away with a couple of computers that have access to the main servers. Business processes may be hectic, but you have access to your applications, your clients, and your current business records. In the cloud, it is good to have a local data center to store your data in, but it is also good to have a data center out of state. If a large disaster, like an earthquake, rocks your entire city, then it is possible to lose the data from your office as well as the data center. On the other hand, if the data center is located in another state, then your data is safe. If you are running your entire network through the cloud you will most likely have all your servers offsite. If you are running a hybrid or private architecture, you will most likely have at least some of the servers in-house. Find out if your provider has the ability to launch virtualized servers in case of an emergency. Find out about mobility options, and see how much of your business can run from a laptop at home if necessary. There have been cases where a flood has wiped out a business. The business ran to the local computer store and bought new computers. They then contacted their provider and were back up and running the next day with minimal interruption. About OS compatibility – Not usually a problem, but you never know. Make sure your disaster recovery plan includes a provider that has the necessary tools for your OS. Verify their rules on file types – Some providers will restrict images or videos as part of their backup plans, or they will charge an extra fee depending on the size of the files. Make sure the provider has the disaster recovery services you need. Ask about their policy of file synchronization – This means they will check the old data with the new data and log the differences between the two files. Some providers may add another charge for this tool. There’s a simple answer: Working with an experienced managed services provider is the key to preparation and recovery. Get a free assessment and check out the TOSS advantage.